The True Test of Good Legal Writing. ≈ Comments Off on The True Test of Good Legal Writing. 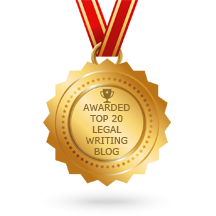 [T]he hallmark of good legal writing is that an intelligent layperson will understand it on the first read. ≈ Comments Off on What Judges Want. Honey Pot on Appellate Brief Writing. 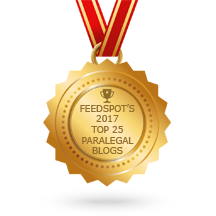 ≈ Comments Off on Honey Pot on Appellate Brief Writing. ≈ Comments Off on Bad Brief! Excellent paper on the repeated mistakes judges and their staff see in briefs. In a busy law practice, we may not always have the luxury of researching and editing as thoroughly as we may like when writing a brief. We are so familiar with our case that we often forget the perspective of our reader. Imagine sitting all day in trial immersed in one area of law, and then switching gears afterwards to read and absorb a brief in a completely different type of law. Plain Language = Good Writing. ≈ Comments Off on Plain Language = Good Writing. Is plain language foreign to ‘real’ writers? To the pros, I mean? Would professional writers, editors, and literary agents outside our field scoff at the plain style that this column has long endorsed? Would plain English draw ridicule in those quarters? Too childish? Dumbed down? Illiterate? And would readers of literate magazines, technical journals, or fiction balk at the simplicity, the directness? This is an easy one: no—on all counts. . . .
4 Writing Tips For Persuasive Briefs. ≈ Comments Off on 4 Writing Tips For Persuasive Briefs. I have revised an awful lot of briefs in my life. I clerked for a year; worked as a litigation associate at a small firm for five years; worked first as an associate (for three years) and then as a litigation partner (for 17 years) at one of the world’s largest firms; and have now served as the head of litigation at a Fortune 250 firm for the last five years. I repeat: I have revised an awful lot of briefs in my life. There’s been a world of variety in the substance of briefs that I’ve revised. Labor law, First Amendment cases, commercial disputes, product liability cases, tax spats, securities fraud, insurance and reinsurance matters, IP cases; you name it. But there’s been almost no variety in the revisions that I’ve made to briefs. As I’ve ranted before, I’ve spent my decades generally making all the same changes to draft briefs. So I’m not going to list here the usual edits that briefs need. I’m going to do the opposite: What edits have I never made to a brief over the course of three decades practicing law? . . . .